I read this article and found it very interesting, thought it might be something for you. The article is called Design: Lift Off and is located at https://www.totallydublin.ie/more/design-section/aer-lingus-rebrand/. 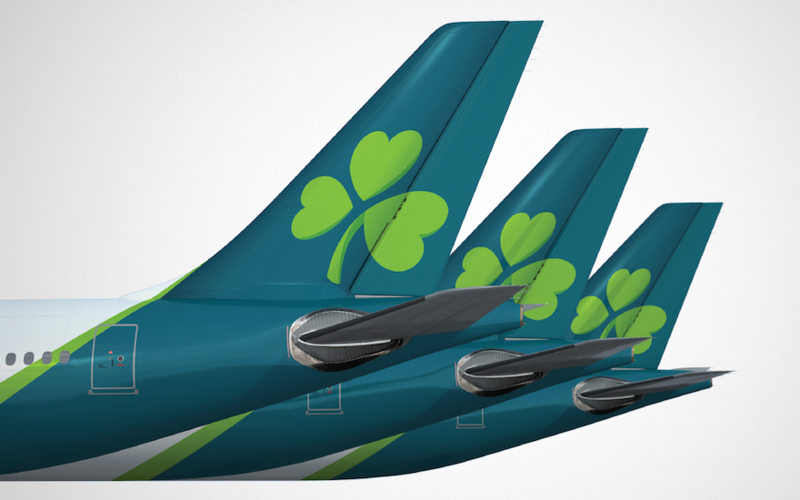 Aer Lingus unveiled its first rebrand in 20 years including an updated logo and new aircraft livery. 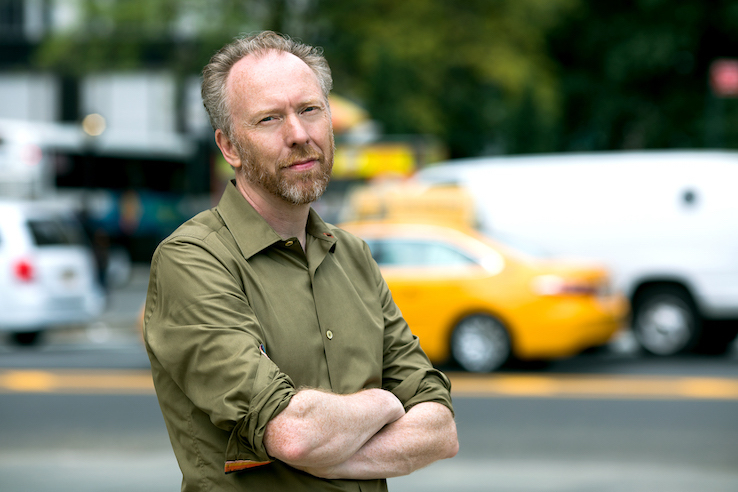 Brendán Murphy, a senior partner with creative consultancy Lippincott, discusses the project. Can you tell me a little bit about you and your creative journey so far? My journey has been a little unorthodox. Out of secondary school I did a course in advertising, which led to a series of jobs as a production artist. I had a great mentor in Dublin, Jim Doolan, who encouraged me to take drawing and painting classes at night and weekends to hone my skills. Then, at 21, I was offered a track scholarship to Pittsburg State University in Kansas, where I studied commercial printing. When I finished, I came home for a couple of years to save for graduate school. During this time, I followed Jim through a number of ad agencies and small design shops and continued taking painting classes at night. For graduate school, I got a scholarship to study graphic design at the University of Cincinnati. While there, I got a grant from the SEGD to design a new symbol of access (wheelchair symbol). They paired me with my professor Robert Probst and advisors including Lance Wyman, which was an education in itself. The symbol unlocked a lot of doors, and led to a job offer at Pentagram, which fell through as New York was working its way through a recession. I ended up working a lot of freelance jobs in Cincinnati and New York before landing at Lippincott in 1995. Lippincott has a wonderful team and attracts a really diverse breadth of clients with big intellectual challenges, which means you are always learning. Recent projects included the highly publicized work for Toys “R” Us and new identity for DuPont. Along the way, I’ve had the chance to teach and write and illustrate a children’s book with Disney. What does a typical day in the office look like for you and the team? I’m usually in the office by 8:15am and finish around 8 or 9 in the evening. Every day is a different sandwich of work sessions, meetings, presentations, and, of course, ideas. We work across every industry, and have folks from a really broad array of cultural and professional backgrounds. The additional mix of experience and youth working across every dimension of brand and innovation makes for a very dynamic environment and keeps everyone honest and engaged. Can you explain a little more of what you call “visual and verbal design”? Brand voice asks not just how the brand can be more human, but more specifically which human. With a combined team of writers, designers and strategists, we work with our clients to define their brand character and look at how that character behaves visually and verbally across the entire client and employee journey. This is codified in a toolkit that addresses not just what we as a company want to say, but what we want our audiences to feel. So, Aer Lingus. Quite the coup for you and the business. Can you tell me how it came about? There are so many factors that come into play with a project of this scale including experience, chemistry, ideas and associated fees. We have a lot of experience with the cultural and technical complexities of airlines having worked on Delta Airlines, Southwest Airlines, Taca Airlines and Hawaiian Airlines. We did a lot of due diligence to make sure we understood the challenge and opportunity. We assembled a team comprised of the New York and London offices to leverage this experience and provide day-to-day on the ground support. Thankfully, this proved to be the winning formula. Given your Irish link, was it a challenge you relished or were anxious about? Both. While I work on many international brands, I grew up with this brand, and took my first flight on Aer Lingus in 1969 from Dublin to Shannon. I emigrated on their planes in 1985. And of course, my family will see the work we did on the project every day. Any time you work with a heritage brand the stakes are far higher. The world today is very transparent and quick to judge. 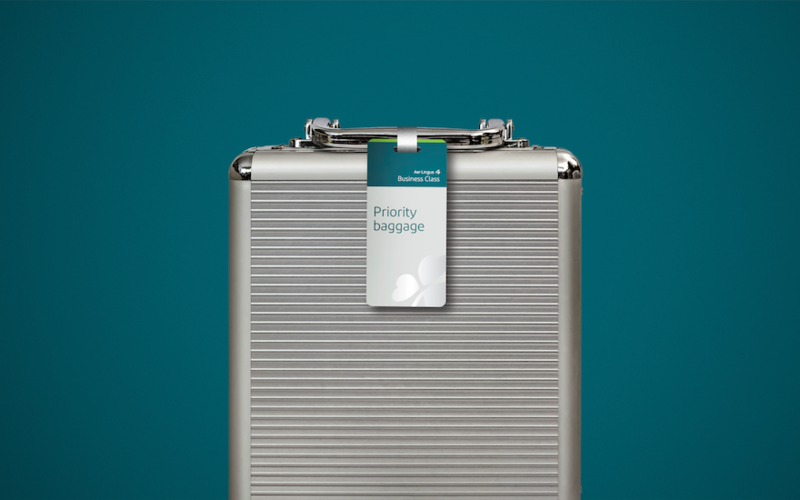 The Aer Lingus team had done a lot of the hard work to define their position in the market. But understanding what permission the country and passengers would give us to evolve was a little daunting for the combined Aer Lingus and Lippincott team. Can you explain a little more about the process that went into the project? How long did it take? What you considered and discarded? What was your ambition for the work? How many iterations did you go through? In simple terms, we can think of the process in terms of pitch, research, design and production. It took close to a year form pitch to launch. For the original brief and pitch we put forward a range of ideas to understand how much permission we would have to evolve the components of the brand including the shamrock, name style, color and the livery itself. We then did a quick pulse check to see if we’d gone too far, or had not gone far enough. This was followed by a series of test and learn cycles in different markets including Dublin, Paris, Berlin, Boston, and New York. It was from these tests that we heard that the shamrock was largely hidden on the current livery. This helped to unlock the opportunity in the new design. Within each cycle we were exploring and learning about each component and how they support the story and positioning of the brand. After each cycle, we’d generate, present, refine, and go again. At the end of the day there were hundreds of ideas on the cutting room floor. Once we had narrowed in on the final direction, the next challenge was production. We worked with the paint suppliers and Airbus to achieve the right paint color, and to translate the design intent into a three-dimensional cylindrical plane full of complex curves. The ambition is and was to find something that is both true and new. True to the brand positioning and its Irish heritage, and new to reflect a contemporary Ireland. Did you think about abandoning the shamrock at any point? I always have a feeling the reason some Irish brands aren’t designed here in Ireland is we usually push to remove elements that are inherently Irish rather than crafting them in new ways. Guinness and Aer Lingus being perfect examples. While removing the shamrock was never in question, the form the shamrock would take was very open. One of the questions we asked early on is, who are we designing for? Should we design for the Irish on the Island today, the Irish that left in the generation before me, or my generation that left in the 80’s? And while each of these generations will describe a very different Ireland, there are many common traits that we can build on. We continuously bounced designs back and forth between New York and Lee and Mark in London, leveraging a really diverse cultural team which helped keep a really fruitful and honest creative tension. The ultimate shamrock that evolved has a delicate strength that is full of optimism. You pretty much kept the rebrand under wraps until the eleventh hour when the new livery was snapped making its way under nightfall into the launch event hangar. On a rebrand with this much public and creative community interest, how do you ensure you stay watertight and only release at the time you’ve planned for? We take a number of measures to keep projects under wraps. All our teams all undergo confidentiality training as part of their orientation. Teams and partners who are integrated into the process sign individual confidentiality agreements. And when projects are up and running, we minimize the number of people who are exposed to or have access to the brand materials. The ultimate shamrock that evolved has a delicate strength that is full of optimism. How was the reaction from your side? Are you happy with how it was received? Any comments to anyone who may not have been loved it at first glance? From what I’ve seen and heard the reaction has been very positive. It was great to see all the folks on the day running around taking selfies with the new brand. How did it feel to come “home” to launch the new livery for your country’s national airline? The Aer Lingus team, true to the Irish spirit, have been very generous in their hospitality and praise. It made me incredibly proud to be Irish. Speaking of home, you mention your favourite things about it are “Family. Literature. Rain. Honesty. Humility. Music.” Do you miss that about not living in Ireland, have you brought Ireland with you or are you speaking about something else entirely? It’s very much a state of mind. My dad painted houses with Brendan Behan and lived around the corner from Christy Brown. You can feel the weight and history of these stories all around you, in the lichen, rock and in the lines of people’s faces. While I have lived in the States for over 30 years, I’ve only recently tapped or tuned into a storytelling community in New York. How often do you come home? In your eyes, how much has Dublin changed? Has it been for the better, worse or otherwise? One of the most pleasant surprises is seeing the growing diversity of people that I’m sure will continue to fuel Irish creativity. But I also love the familiarity of Dublin’s streets, buildings, accent and sense of humor. Your greatest job / proudest moment so far? Aer Lingus has been an incredible journey and a very meaningful personal story. 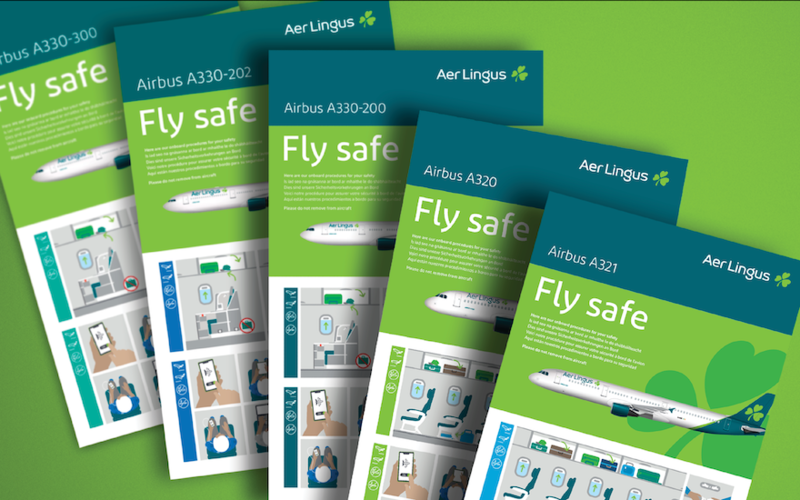 I’m extremely proud of the work the Lippincott and Aer Lingus teams created together. The greatest job you have yet to do? I’m gearing myself up to write and illustrate another children’s book. Can we expect you taking on any other iconic Irish brands in the near future? Is there any particular one you’d like to get your hands on? I’m a sucker for Irish Radio. I’d love to do a project with RTE.